I stumbled upon these two videos uploaded to YouTube over the last few days from a travel/internet conference in South America “Think Travel with Google”. The first has a speaker, Lothaire Ruellan from Google discussing analytics and data for travel, the second on where Google fits into travel by the CEO of The Futures Agency. Really interesting viewpoints and information. As you probably noticed, I haven’t been uploading many blog posts this year, but I still receive many emails from hoteliers who are confused by how they can distribute their hotel in an ever growing and complex network of travel channels. In fact, over the last two weeks, I counted 26 individual questions posed to me via Twitter and email on this very topic. What each query had in common, started as a very simple question, with an often complex answer. How does distribution work, and how can I get my hotel into as many channels as possible, yet still control my rates and reputation. It’s a good question and there are many distribution companies and services out there to help you. But to deal with the first question, you need to understand the various channels and possibilities. For instance, for a hotelier it is not just a case of building a great brand.com website and sitting back for the bookings to flood in. Sure, you want to get as much business direct and if things are going well, this channel will make up a high proportion of your bookings. But hoteliers more and more need to have their property seen on online travel agency websites, metasearch sites such as Kayak, and through the travel agency channel reached via the GDS companies. I saw a press release this morning from one such distribution expert, Pegasus Solutions, who were launching their brand new website. I happened to stumble across a new video they have posted, which explains distribution channels and what they offer hotels. I do not promote companies via my blog, so apologies for the rather ‘Pegasus is amazing’ style video, but I wanted to share with you in any case, as it will help visually explain distribution channels and what a company like Pegasus could do to help you. A few weeks ago I learnt that someone I’ve had the pleasure of knowing over the last few years through EyeForTravel, has moved roles and joined a company that’s always intrigued me – Yelp. Rosie Akenhead had a key role in organising many of the EyeForTravel events, including the fantastic Travel Distribution Summit, from which so many stories have been derived for my blog. I was keen to talk to Rosie about her new role and get an insiders view of Yelp to see what I could learn from the experts about how hoteliers should be working with Yelp and managing their online reputation. A: Yelp, in a nutshell, is a site and mobile application that connects people with great local businesses – anything from hotels, restaurants, bars and spas to dog groomers, mechanics, even dentists! The Yelp community is made up of engaged locals who connect online and off, to share their opinions about local businesses, and have written more than 42 million rich, local reviews to date. 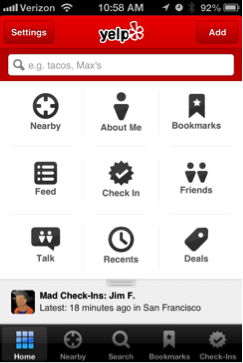 With an average of 108 million monthly unique visitors in Q2 2013, Yelp is the leading local guide for word-of-mouth recommendations. Q: Tell us about your new role, and what your objectives are as you begin working for the company. A: I’m the Manager of Local Business Outreach for Yelp here in the UK and Ireland. In plain English, that means I help educate local businesses, including hotels, about how to use the free suite of tools Yelp provides business owners, and how to manage their reputation online. Q:Did you use Yelp before you started your role, if so, what were your primary uses? A: I did indeed. Before Yelp, I was working for a travel trade publication, so I was always using it as a resource for good local businesses to test out when I was in a place I didn’t know so well. What’s different now? I use it all the time to wow friends and family with my great choice of cool hangouts and suggestions of places to check out right in my backyard! It hasn’t let me down yet. Even before I took the job at Yelp, I mainly posted reviews where I had an ‘average’ to ‘great’ experience and wanted to share it with others. I think that feeling must resonate with other reviewers, since nearly 80% of our reviews are three stars or above on a five star scale (a fact which certainly surprises most hoteliers). Q: How strong and how widely used is Yelp in the UK? Strongest markets? A: Yelp was born and bred in San Francisco, USA. We now have people working for Yelp in over 100 cities in 22 countries across the world. We have Community Managers in 7 cities in the UK and Ireland (London, Manchester, Birmingham, Leeds, Edinburgh, Glasgow and Dublin) whose role it is to interact with Yelp users and business owners in that city, and provide opportunities to connect them to each other. With the acquisition of our European competitor, Qype, last year, Yelp’s presence on this side of the pond is going from strength to strength as we move forward with integrating the two companies to create a single platform under the Yelp brand. We’re seeing consistent growth in all our European communities. Q: Hotels are forever being told they have to manage online reputation – how does this fit with Yelp? A: Having worked in travel and hospitality for four years prior to my time at Yelp, I know for certain that hoteliers already know that that they need to manage their online reputation. That’s obvious. Most have made efforts to better monitor their presence online in one way or another. Yelp is a key place for hoteliers to have a presence, and this can be done relatively quickly and free of charge. The guidelines that we set out for businesses are to a) make sure you claim your listing, b) fill out your profile and c) make sure you take the time to respond to reviews either privately or publicly. Managing your reputation online starts with ensuring consumers can find the right information about you, wherever they look. The conversations you then have with those consumers helps build their trust and awareness of your hotel. Consumers are already looking for local businesses on Yelp, and research has shown that the information they find drives them to a purchase decision, so hoteliers need to make sure they are a viable option when they are searching in their hotel’s area by claiming their page and making sure the information is up to date, correct and complete. I’d say one of the best steps for hoteliers to make is to respond to reviews (which you can do privately or publicly on Yelp) and start conversations with customers past, present and future. Q: What steps should a hotelier take to have visibility of their content on Yelp, and how should they go about managing their reputation? Are there costs? A: As mentioned previously, the first step really should be claiming their business page on Yelp. It only takes a few minutes to claim the page and set up an account and is completely free (honestly, it is, no catches). I always say to people, you need to claim your Yelp listing! All it means is you are optimising a channel whereby a different set of educated, affluent customers can find you and do business with you directly. Having a listing with photos, full contact information including your website and telephone number, is an easy way to improve the number of people doing business with you. Q: Is a hotel automatically included in search results of Yelp, or does the hotel need to add themselves to your service? Most people are quite surprised to find that their business is already listed, has reviews and that people are viewing that page every day. Q: Can you give us some stats please? 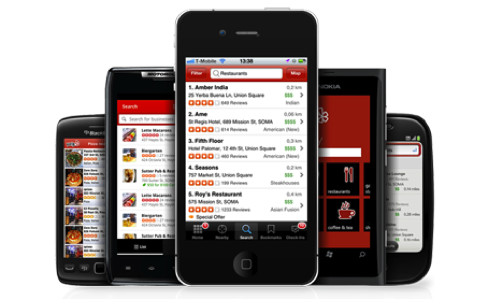 A: On top of the 108 Million unique visitors to Yelp every month and the 42 Million reviews submitted to date, it is also worth noting that our mobile app is used on 10.4 million unique mobile devices every month, and every second a consumer generates directions to or calls a local business from the Yelp app. Also, 59% of all searches on Yelp came from mobile web or our mobile app combined, highlighting further just how many people are searching for information whilst on the move. What does this mean for hoteliers? People are looking for instant information, instant resources and a place to stay and spend money. if they can’t find it, they’ll turn somewhere else. Q: Will Yelp look at becoming a hotel booking application in the future? A: I think it’s important to initially state that Yelp is, first and foremost, always about the customer’’s experience. We seek to show them authentic, honestly reviewed local businesses which they can trust, and that remains core to Yelp’s DNA. We do have an API facility available for hoteliers. This can be implemented in a number of ways from within your own website or mobile app to help highlight the great local businesses in the vicinity of your hotel, whether that be restaurants, shopping districts, services or the nearest theatre box office. We’re always looking to improve the consumer experience and make Yelp as helpful as possible, so keep an eye out for future updates! Many thanks to Rosie for sharing with us just how hoteliers can manage their online reputation with Yelp and some great stats. If you have any questions or comments, please do leave them at the end of this post. For regular readers of my blog, you will know that each year I tend to post the latest Social Media Video produced by Socialnomics. In my opinion, this annually produced video is one of the most powerful ways to explain the influence, reach and usage of social channels with some incredible and hard-hitting facts. Socialnomics was founded by Erik Qualman with the intent of providing short social stories, statistics, studies and surprises. I refer to these videos regularly and often share them with people asking me questions about why their hotel should be taking social media seriously. So, with my thanks as always to Socialnomics, here’s the 2013 video. Enjoy. Maybe I’m a little behind with this, but I’ve only just discovered Google Now, the latest Google project. Take a look. I’ve had a busy week – World Travel Market and the HBAA Technology Forum in the space of five days has left me exhausted – but I did get to try something I’ve had my eye on for a long time – I stayed the Yotel way. 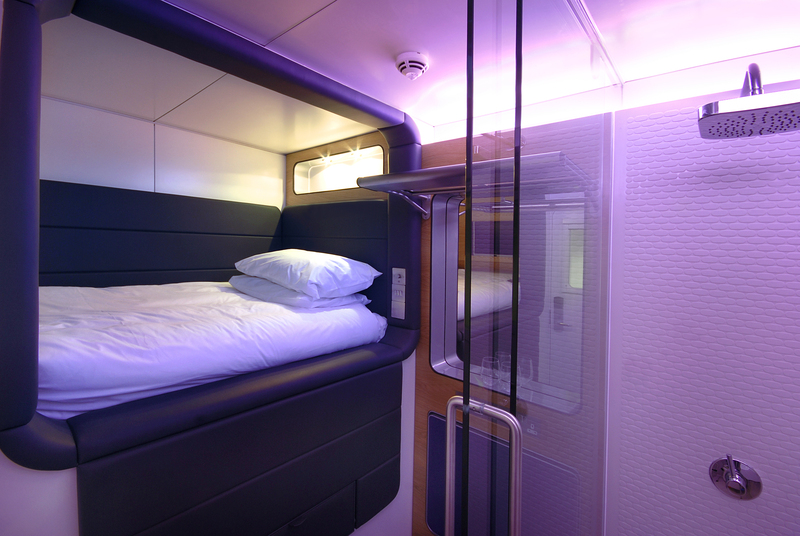 Although really designed for people flying off into the sunset and needing somewhere to rest at the airport, I decided that rather than commute backwards and forwards to WTM, I’d give the cabin style hotel room experience a try – something Yotel is becoming famous for. Yotel has been described in the press as a revolutionary new hotel concept, and to be honest, no other hotel chain have a similar brand to run against them. Starting out in New York, Yotel are expanding and have properties at London Heathrow Airport, London Gatwick, Schiphol Airport in Amsterdam and two hotels back in New York. Inspired by first-class airline cabins and located inside the airport terminal, Yotel has been built around a strong brand concept – a business or leisure traveller wants to stay somewhere that’s flexible and not over the top. Everything about the cabins are high spec – great quality beds, shower and amenities all within small cabin style rooms. The perfect place to rest your head and re-charge before or between flights or for unexpected travel disruption. 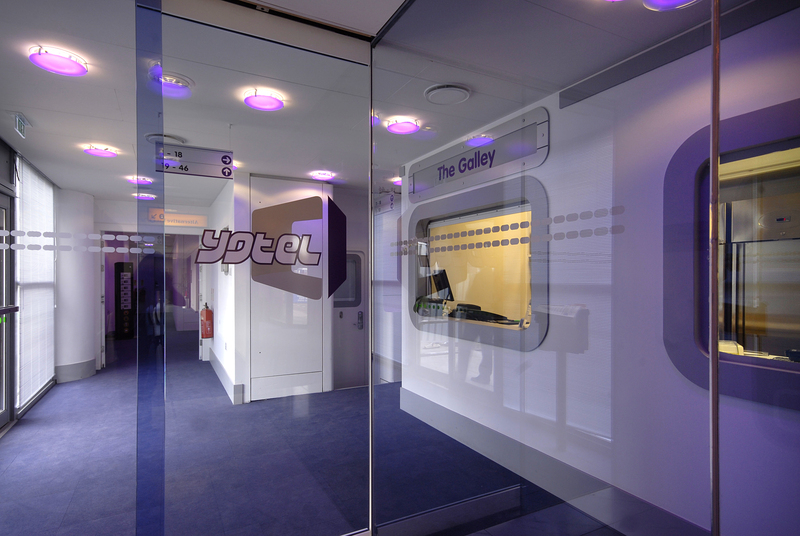 Yotel founder Simon Woodroffe conceived the innovative Yotel cabins to provide a flexible and convenient ‘first class’ hotel experience at affordable prices. Simon evolved that idea into reality with Gerard Greene, the CEO of Yotel, building a prototype cabin with designers Priestman Goodeand and securing partner IFA Hotels and Resorts. Before I stayed, I’d read the marketing on the brand and didn’t know what to fully expect. Having stayed in other “cabin” style rooms recently, I expected the same from Yotel, but there is no product on the market quite like this. The design of the rooms is quite something – compact – but yet without the feeling of being trapped or penned in. Each cabin has everything you could wish for – comfortable beds, en suite bathrooms with monsoon rain showers complete with organic hair and body wash, flat screen TV and pull out workstation (and of course, free Wi-Fi). I’m told even the mattresses are organic! What I especially like about the Yotel concept is that the founders have solved a common travel problem. They’ve looked at how people travel through airports and identified a gap in the market. People often want somewhere comfortable to rest in an airport, and creating the high quality Yotel brand allows people to book a cabin for a short amount of time, or a whole night. It’s a flexible model that caters for all, and unlike so many other newer hotel brands, actually stands out from the crowd and solves a travellers existing problem. I should also take a moment to comment on the service. Check-in can be processed in person or by self service computer on arrival, but all staff that I met during my stay were polite, friendly and incredibly helpful. They created a lasting impression of the brand for me. I also found it encouraging that in each room there is a business card urging guests to leave a review of the hotel on TripAdvisor. When you think about it, a cabin style room could be the perfect thing to moan about online, but Yotel are so clear and confident about their brand and customer expectations, they do the right thing and encourage engagement and reviews. More hotel chains could learn from this approach. Prices for a Standard cabin will range from £25 for four hours and from around £50 overnight, while a Premium cabin will cost from £40 for four hours, and from around £80 overnight. If you would like to find out more or book, please click here to visit the Yotel website. What I think will be interesting is how quickly the brand can expand. Clearly, the same consumer need exists at every international airport all over the world, so there is at least in theory a place for a Yotel in hundreds of locations. Will we see them pop up at every airport we pass through in the future? Yotel is already a very successful brand and becoming more and more recognised by the public. They have achieved this success by clearly defining their brand strategy, playing on it, and keeping it simple. And not as a cramped, grotty cabin, but as a a high quality, 4 star place to stay that’s good value and enjoyable. I would imagine that their cost of sale is pretty low – booking via the brand.com website only (which is a rally great, interactive and informative online experience) and without the use of third parties (I’ve not seen their content appear on OTA websites yet, or the GDS, but I may be wrong). Keeping to this model is pretty simple, but as the collection of hotels expands, so too may the distribution channels needed to make sure all the rooms get filled. I would thoroughly recommend you to try Yotel when you next have a long connection or early flight from Heathrow or Gatwick. It’s excellent value, excellent quality and quite frankly, the only thing of it’s kind. 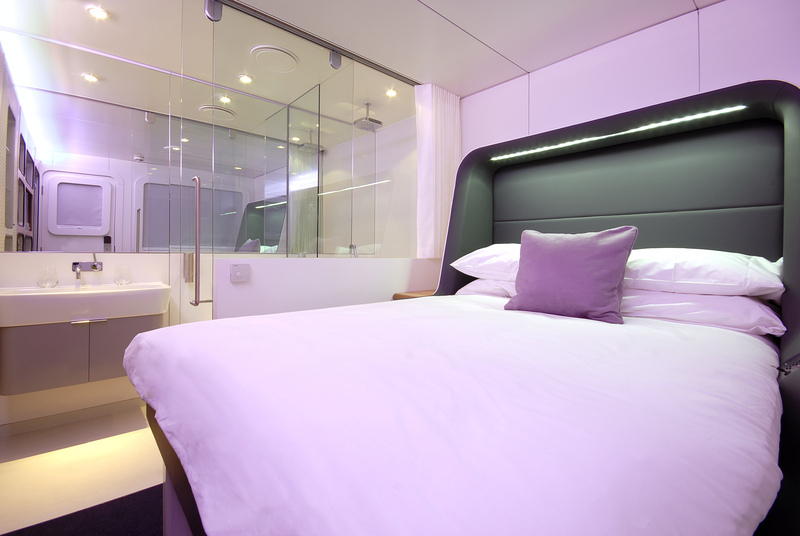 Here’s a virtual tour of what you could expect from your stay at Yotel. I was having a very interesting discussion yesterday at the World Travel Market about where the hospitality industry is changing. We talked at length about Airbnb, a company and business model we have explored on Hotel Insight previously. Towards the end of our debate, we were discussing the safety side of what Airbnb does. This has been well published this year and it got me thinking. On my return home I spent some time looking into this and actually found a video directly from Airbnb on this very topic, so wanted to share with you.